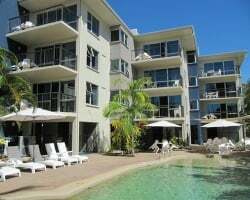 Magnetic Island is a distinctive granite based island of 5,000 hectares with an abundance of flora and fauna, palm fringed beaches, 24km of walking tracks, many hilltop lookouts and unspoilt National Parkland. The island offers a nine-hole golf course, lawn bowls, trail rides, hire fishing boats, catamaran sailing, hire vehicles, motor bikes and push bikes. There is a wide variety of restaurants and the supermarket is just 5mins walk away. The resort offers a poolside barbecue, spa, rooftop sundeck, half-court tennis, bikes and direct access to the beach where you can snorkel and use the kayaks. The gateway to the Great Barrier Reef! Close to the beach! RTU in perpetuity! Buyer May Receive A Title Fee Credit, Inquire For Details!